Assisted digital is support for people who can’t use digital services independently. They’re most likely to receive this support over the phone, or in person, with someone helping them to use the digital service. Redesigned and rebuilt digital services are simpler, clearer, and faster. They use plain English, not confusing legal jargon. They don’t make users fill out unnecessary forms. And they give users only the information they need. We want everyone to be able to use our digital services and experience these benefits, not just people who can do it on their own. When we build digital services, we don’t assume that what is already in place is fit for purpose. We do research to understand what our users need, design a service based on that, and keep testing it with users to improve it. This includes doing research with users with low digital skills. It’s important that services are designed to be as simple as possible and work for all users, no matter how confident they are online. But we recognise that the service is more than the website. For people who need help to use the digital service, we can’t assume that any existing support they may access meets their needs. 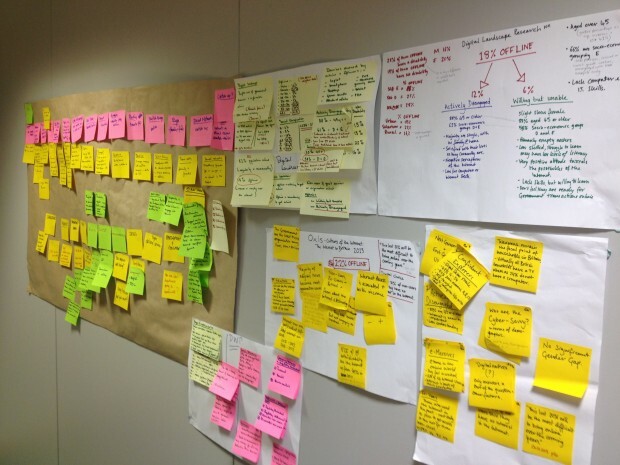 We do research to understand what our users need, and build and test assisted digital support based on this - just as we do for the digital service. Research carried out by the carer’s allowance team showed that anxiety over the consequences of getting an application wrong can lead users to seek help, and they need a safe, supportive environment to make their claim. It’s important to understand the context in which users are accessing our digital service. The prison visit booking team surveyed over 2,200 callers to the booking lines. They’ve used the findings from their research to design assisted digital support which encourages callers to use the digital service, while booking a visit there and then for users without access to the internet. This keeps calls short and minimises costs, while meeting user needs. Our job at GDS is to make sure that before they go live, services have the right support in place for those that need it - and that this support is designed based on research and testing with real users. That’s why assisted digital is point 10 of the digital by default Service Standard. Like most things, it’s about user needs. We don’t assume any existing online service meets user needs, and we’re not assuming any existing offline support does either. I was just filling out my husbands overseas passport application. Your site was (bar none!) the best government site I have ever used. Thank you.